There’s never a bad time for a hot bowl of ramen. The noodles combined with the flavorful broth can warm both body, heart, and even the soul. From ultra-spicy pork in Cambridge to amazing fish options in Malden, find your favorites at the 10 best ramen places in Massachusetts. 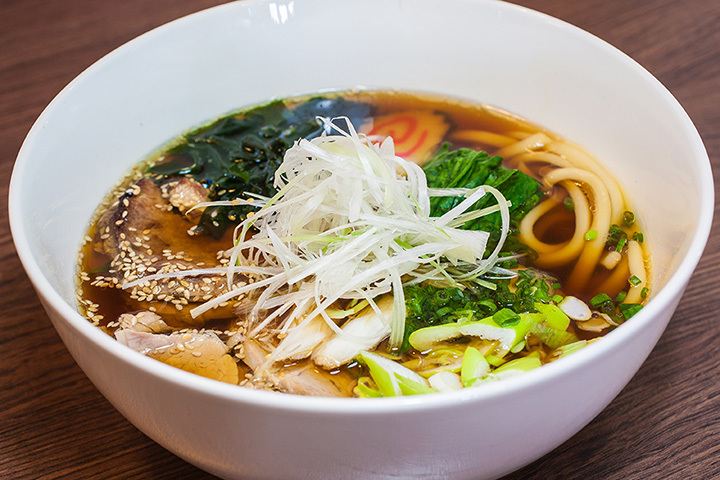 Hakata Ramen serves some of the best ramen in Quincy and some of the best ramen in the state. A dozen options await customers, and they may enjoy it either in-house or as a takeout item. Choose from spicy, vegetable, katsu, tatsuta, fishman, spider, and “Hell Ramen” at Kakkoii Sushi and Ramen. The delicate combinations of broth, noodles and meats, fish, poultry or vegetables make for a hearty and delicious meal. Eat in or take your ramen to go. 1981 Ramen Bar calls their ramen, “fearless and bold.” Their chef has a French cooking background, but is Asian, making for some amazing cultural combinations. Their Tonkotsu Miso Ramen features a 48-hour pork broth, confit Berkshire pork belly, braised bamboo and brown butter corn. If that doesn’t make you want to head there immediately, nothing will. You’ll love the ramen at Pikaichi. Eight varieties—including vegetarian—are available for both lunch and dinner. The restaurant atmosphere is casual and nondescript. The food? Out of this world. Concoct your own ramen at Shabu & Mein. Choose your noodles, your broth and your add-ons, including chicken, prime rib, mushrooms, shrimp, fish tofu and countless more options. You decide how hearty or not you’d like your meal to be. Not feeling particularly creative? That’s okay, too. Three prepared options are always available. Choose from Hell’s Ramen, Curry Ramen or Crazy Pork Ramen. Either way, you’ll be happy you found your way to this trendy restaurant. Deep umami flavors enrich every bowl of ramen at Hokkaido Santouka Ramen in Boston. Simmering their pork bones is how they begin—a process that takes 20 hours. They believe that by never boiling their bones, the taste is even more delicious. Choose from a variety of add-ins for the bowl that’s perfect for you. Select from a variety of delicious ingredients until you’ve made the perfect ramen at Totto Ramen. Choose from seasoned avocado, chicken, pork, seasoned boiled eggs and more as your add-ins. Or opt for a house recipe ramen instead. Either way you’ll enjoy a hot, hearty bowl of goodness that’s sure to fill you up and satisfy you in a variety of ways. Treat yourself to a delightful meal at Pagu. Their ramen is based upon the chef’s memories of his grandmother’s restaurant decades ago. When he came to the U.S. in the 1980s to start his own restaurant, he added his distinct culinary prowess to his grandmother’s recipes and came up with a few ramen selections that are beloved by customers. The entire dining experience at Pagu is something everyone must experience. The ramen is an important part of the experience. Nothing but all-natural ingredients go into the ramen at Ganko Ittetsu Ramen in Brookline. The freshest meats, poultry, fish and vegetables comprise some of the most delicious ramen you’ll enjoy—plus, they’re made in a wok instead of a pot. This method requires extra work, but the chefs believe the taste of caramelized ingredients enhance the broth in ways simmering in a pot cannot. All their noodles come directly from Japan. Provided you can deviate from the norm with regard to your ramen, you’ll find Broth to be delicious and unique. Featured on the Travel Channel’s “Man v. Food,” it has a bevy of avid followers. The flavors are a bit more American, but the tradition of noodles and a bevy of ingredients stays the same. Give the ramen here a try. You might decide Broth is your new favorite place to enjoy it.